Can what you eat directly impact what you get done in a day? In my experience the answer is a resounding YES! No matter how many productivity tips, time maximizers, apps and strategies you have in your pocket, none of that matters if you don’t have the energy to work. 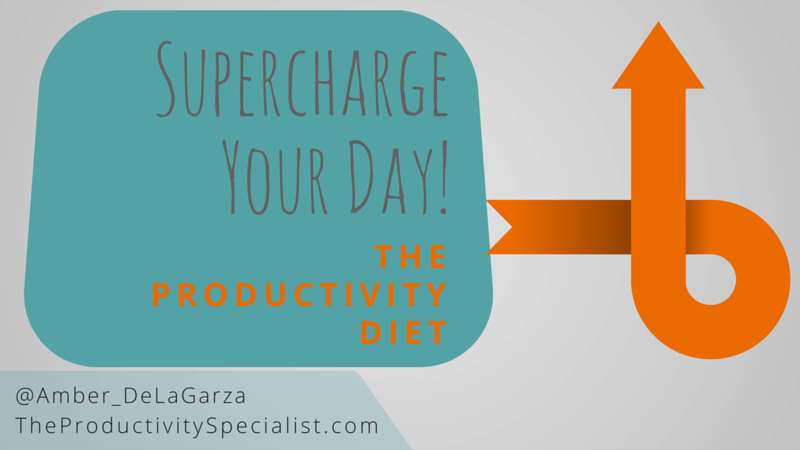 The infographic The Productivity Diet: What to Eat to Get More Done in a Day is a great reminder that food is not just delicious; it’s a necessary energy source for your mind and body and provides the necessary boost to supercharge your day. You may not have issues with time management, just energy management. Many of my clients feel they run out of energy long before they run out of time. Does that sound like you? If I forget to eat well (or choose not to on occasion), I feel lacking in energy and ambition – oxymorons to being productive. If you’re committed to investing your best time into your best activities, making wise decisions about the food you eat is critical. HubSpot teamed up with EBOC (Entrepreneurs & Business Owners Community) to create this infographic on which foods will help you stay energized throughout the day. If your productivity needs a pick-me-up, try altering your diet using this infographic as a guide to achieve the results you desire.